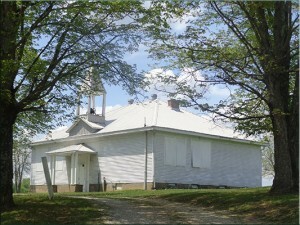 The schoolhouse in Houston, Indiana is currently used for social events, such as the monthly pitch in supper for the Houston Community. The building has not been used for school since 1967, but has served as a place for the local residents to vote for many years. When a company wanted to burn the school for a movie in 1990, it motivated the community to restore this historic landmark for the Houston area. The Houston School Restoration Committee was formed shortly thereafter. An annual fundraiser is the Houston, Indiana Fall Festival. Proceeds from the festival and other events are used to maintain and improve the building.